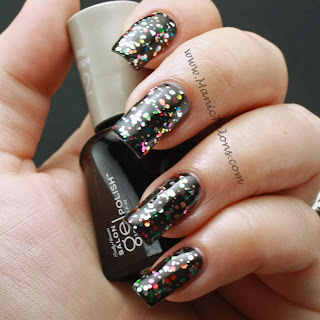 It seems that glitter is the current trend in SOG. 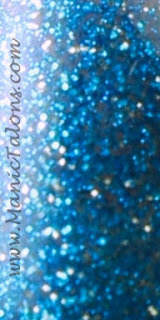 When I saw that Sally Hansen Gel Polish has released a glitter line, I was intrigued. Naturally, I had to pick up a few to try out. The four I have swatched today jumped out at me based on the boxes. The colors inside are definitely not what is pictured on the box, but I feel that the glittery goodness inside is somehow better. First up, Funfetti. The name really says it all with this one. 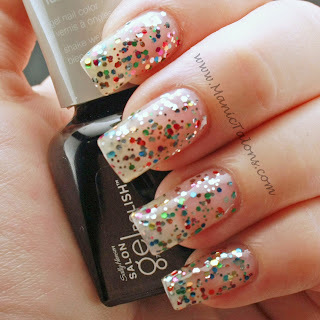 Think two sizes of multi-colored metallic glitter in a clear base. The picture on the box shows red and green glitter, but that is certainly not what is inside. I'll let the pictures do the talking for this one. 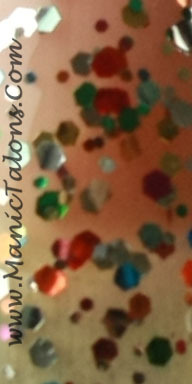 Ok, so this is definitely a fun, confetti explosion. Silver, Red, Pink, Blue, Green, Copper...too many colors to list. Let's take a closer look. But wait, you really have to see it over black to fully appreciate the glittery goodness. Next, I have High Society to show you. The box depicts a shimmery blue polish. Nope. This one is blue glitter with scattered silver glitter in a clear base. It is mostly opaque in 3 coats but would be better as 2 coats over a matching base. How about a closer look? I love the silver glitter in this. It gives it that element of surprise and added depth. Of course, when I saw this next one, I couldn't resist picking it up. 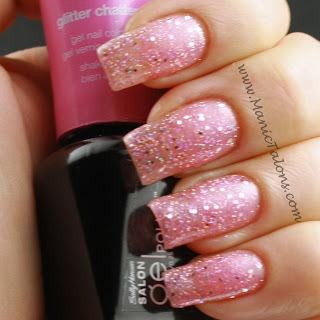 The box for Glitter Chatter shows a shimmery pink, so I was not prepared for the awesomeness I found inside. 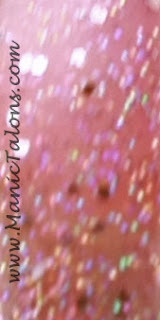 This one is a pink jelly base with fine, scattered holo shimmer and a few larger silver glitters thrown in. If it wasn't Halloween week, I would still be wearing this one. It absolutely sparkles without being too strong. Of course, the light box photo didn't pick up that subtle holo shimmer I mentioned. The slightly blurred close up does a much better job. Finally, Glisten Up appears to be a shimmery grey on the box, but it is actually a charcoal grey base that is loaded with glitter. The majority of the glitter is silver, but there are a few colors thrown in as well. I don't even know how to describe it, so I'll just show you. You can see the colored pieces a bit better in the closeup. Blue, green, pink and copper. I have glisten up on 2 fingers (over black) & love it. Someone sent me it to me from OH because I can't find them anywhere & now I want all of them! Wow, that's impressive! I wonder if Sally Hansen is going to start bringing out more fun colors! I love all of those!